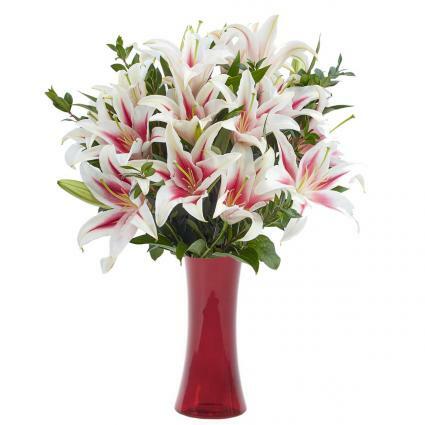 Stargazer lilies are a stunning flower all on their own! 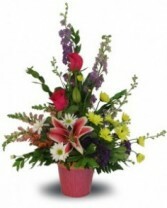 Large, bold blooms with pink centers all contained in a pink, frosted vase, this arrangement is sure to delight! Give the wow factor by sending someone this gorgeous arrangement filled with spider pomps, stargazers, carnations and gorgeous filler flowers. 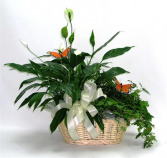 Our Butterfly Garden basket includes a 6" pothas and a 6" peace lily adorned with butterflies and arranged in a basket. 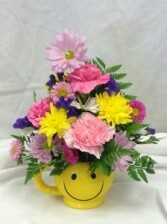 Open For Walk-Ins On Sunday 11:00AM-5:00PM.